Red Bull brings Formula 1 back to Austria, Rush and a baby prince. Today’s news is a snaking winding collection of snippets that seem to be intertwined. Latest news of Red Bull bringing Formula 1 back to Austria is awesome because its Niki Lauda’s home circuit and its been rebuilt in 2011 so we have a brand new circuit that could be exciting to watch. Considering that Singapore has achieved quite a success in adding the night race to the calendar and recent times with the tire puncture drama, we can only see how Austria can add on to the excitement. But somehow, next year will probably be too much of a rush for them to get Austria in, as it seems to me like they are already pretty packed in the race calendar for 2013 itself. Anyways, more races for them, more races for us. Two Thumbs! Below is an old school map of the Austrian Circuit. Let’s see how things have changed when they do update us of the new circuit. Coincidentally, or there could be a higher order I do not know of, the movie “Rush” by Ron Howard actually goes about Niki Lauda’s horrific crash and his brave struggles back into F1. The movie stars Mr Chris “DemiGod” Hemsworth. I mean, how can anything go wrong with this show. Ron Howard and Chris Hemsworth… ’nuff said. I am definitely watching it. Oh. Plus its all about Formula 1 history lest we forget. Sign me up! 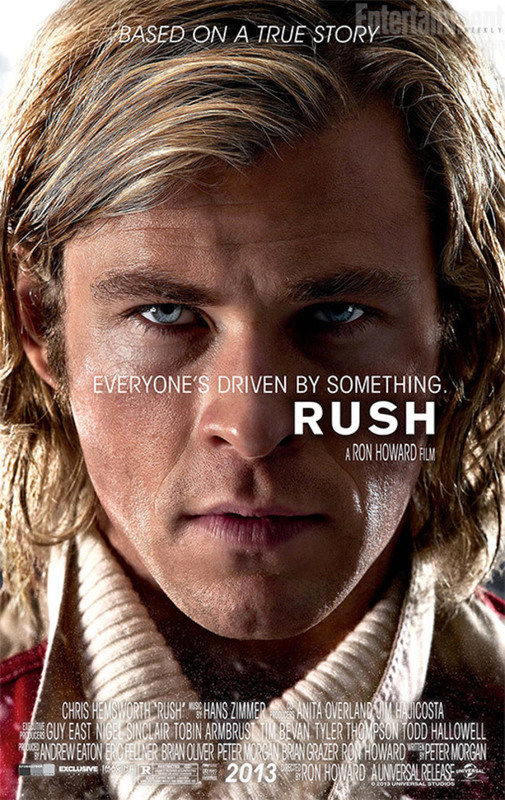 Oh and Ron Howard went all the way to ye’ old England to appear on Top Gear Series 20 to promote “Rush” and I reckon he should have sent Chris Hemsworth instead. I can safely conclude that the girls in the studio would be pretty stoked if that happened. Surely the demographics for Top Gear would turn very female friendly when that happens. Oh, and talking about England, there’s a new prince in this world. George Alexander Louis. Now that is news indeed. The world seems to need some good news recently and I think a newborn, and an heir to England’s throne is as good a news as any. Bet you that the paparrazi would love this news more than anything else. They earn chunks just trying to track him down in years to come. Economy needs more princes in the eyes of paparazzi’s and me being a photographer, would prefer a slightly laid back approach to getting my photos. Not going to be a papparazzi anytime soon. Anyways, the new prince is already making waves it seems. The twittersphere and Facebook walls are full of comments about his name. Mostly not very flattering comments and mostly because of the name George. I can understand why the name George is not getting those “Like” buttons pressed, and I think it has something to do with history. We had George, then Elizabeth, then Charles, then William. It seems like a progression. It feels like its part of the times. It seems like a part of the next generation and us, as humanity, is moving on. It seems like each and every one of our generation is identified with one of the monarchs. Like my granny with Queen Elizabeth, father with Charles, me with William and our kids… with George. George….Again??? Seriously? World War 1 King George VI? It feels, old. Archaic. And somehow, not with the times. Our kids don’t want a George to identify with their generation. They want a progression of William and Harry. We liked how it progressed. William and Harry sounded, very us and very our times. Its all good up till yesterday and suddenly to have history revisit us with the name George, its like a step backwards. Retro may be in right now, but a baby named George in 2013 just sounds old no matter how we see it. And we come to this thought, that our lives hangs onto history like a leech. Names evokes images and history. It makes us remember things and bring us back to that time. I recently watched the King’s Speech and how King George VI struggled with his stammer, how England struggled with an impending war. We have moved forward since, tremendously in fact and 20th century went down with the biggest changes, we were like a child wishing to grow up overnight, and we actually did. Be it for the good or the bad, we grew up. So here comes the 21st century and baby George comes along. You getting what I mean? Prince George. It sounds like we are back to those days in black and white photos and colonial houses. I think deep down inside us, we want to know that we have moved on, moved with the times, advanced, and improved. Its tough to move on when we go backwards and revisit our past. Albeit its just a name in this case. But those memories, those images, and those times, its what history that’s making people not hitting those “like” buttons. We humans can be weird sometimes, and names seems to make humans behave oddly, like Apple, Prada, Hermes, Chanel, Cartier or Tiffany. These names evokes emotions. These names makes us who we are. But the thing is, most of these names are old names, and as time went, they are renewed and rebuilt. Made chic again and fashionable with the right marketing. So let’s see how Baby Prince George will build his name and renew the name George. Who knows, we might be buying luxury good from George, Inc. sometime in the near future. Only time will tell.